Lisa has already claimed her prize and has chosen to receive a copy of Blowing on Dandelions. Thank you all so much for visiting and participating in the wonderful Q & A! When her father’s debts, brought on by heavy drinking, threaten Leah Carlson’s family ranch, she fights to save it. When handsome banker Steven Harding must decline her loan request, he determines to do what he can to help. Just as he arrives to serve as a much-needed ranch hand, Leah’s family secrets—and the pain of her past—come to a head. They could destroy everything she’s fought for. And they could keep her from ever opening her heart again. 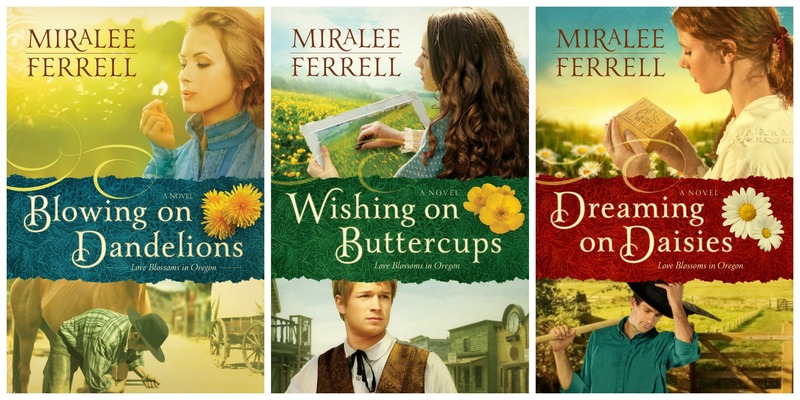 Miralee Ferrell is a master storyteller and I adore her books! Dreaming on Daisies is an emotional journey that is both entertaining and encouraging. Leah Carlson is a young woman who has been hurt by secrets and strife. However, as this beautiful story conveys, wounded hearts can find healing. 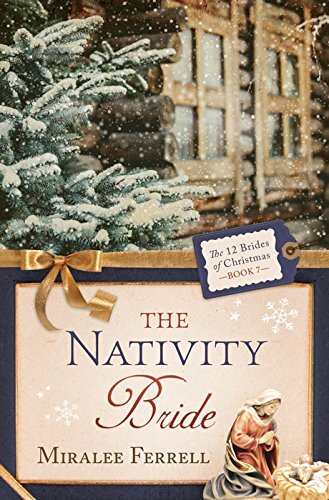 I loved this wonderful, historical romance and highly recommend it, as well as the other books in the Love Blossoms in Oregon series! While any of the books in the series can stand alone, I encourage you to read them in order. In doing so, you will come to know the residents of Baker City, Oregon, and understand their stories. I received a complimentary copy of Dreaming on Daisies. All thoughts expressed are my own and no monetary compensation was received. Miralee Ferrell is a speaker, accredited counselor, and former ACFW chapter president who has published multiple contemporary and historical romance novels since starting to write in 2005. She enjoys horseback riding, gardening, and family gatherings around their eleven-acre property in Washington State’s beautiful Columbia River Gorge. Visit yesterday’s Ask the Author post to ask Miralee a question and enter to win your choice of one book in the Love Blossoms in Oregon series! The giveaway is open to US residents only and ends Saturday, November 22 at 11:59 pm CST. I am thrilled to welcome Miralee Ferrell back to Buzzing About Books! Miralee loves interacting with readers and wants to answer your questions. She is graciously offering one book from her Love Blossoms in Oregon series, winner’s choice. To enter, simply ask Miralee a question in the comments below and stop by later to read her answer. Miralee and her husband, Allen, live on eleven acres in the beautiful Columbia River Gorge in southern Washington State, where they love to garden, play with their dogs, take walks, and go sailing. She is also able to combine two other passions—horseback riding and spending time with her grown children—since her married daughter lives nearby, and they often ride together on the wooded trails near their home. During early 2013 the family welcomed a baby granddaughter, and Miralee is totally in love with being a grandmother to baby Kate. Ironically, Miralee, now the author of nine novels and a contributor in four compilations, never had a burning desire to write—at least more than her own memoirs for her children. So she was shocked when God called her to start writing after she turned fifty. To Miralee, writing is a ministry that she hopes will impact hearts, and she anticipates how God will use each of her books to bless and change lives. An avid reader, Miralee has a large collection of first edition Zane Grey books that she started collecting as a young teen. Her love for his storytelling ability inspired her desire to write fiction set in the Old West. “But I started writing historical fiction without even meaning to,” Miralee says, laughing. She’d always planned on writing contemporary women’s fiction, but God had other ideas. After signing her first contract for the novel Love Find You in Last Chance, California, she decided to research the town and area. To her dismay, she discovered the town no longer existed and hadn’t since the 1960s. Though it had been a booming town in the late 1880s, it had pretty much died out in the 1930s. So her editor suggested switching to a historical version, and Miralee agreed, although she’d never even considered that era. It didn’t take long to discover she had a natural flair for that time period, having read and watched so many Western stories while growing up. From that point on she was hooked. Her 1880s stories continue to grow in acclaim each year. Her novel Love Finds You in Sundance, WY, won the Will Rogers Medallion Award for Western Fiction, and Universal Studios requested a copy of her debut novel, The Other Daughter, for a potential family movie. Aside from writing and her outdoor activities, Miralee has lived a varied life. She and her husband have been deeply involved in building two of their own homes over the years, as well as doing a full remodel on a one-hundred-year-old Craftsman style home they owned and loved for four years. They also owned a saw mill at the time and were able to provide much of the interior wood products. Miralee has done everything from driving a fork lift, to stoking the huge, 120 year-old-boiler, and off-bearing lumber, to running a small planer and staking boards in the dry kiln. Besides their horse friends, Miralee and her husband have owned cats, dogs (a six-pound, long-haired Chihuahua named Lacey was often curled up on her lap as she wrote this book), rabbits, and yes, even two cougars, Spunky and Sierra, rescued from breeders who didn’t have the ability or means to care for them properly. Miralee and Allen have lived in Alaska and the San Juan Islands for just under a year each, where she became actively involved in women’s ministry. Later, she took a counseling course and earned her accreditation with the American Association of Christian Counselors, as well as being a licensed minister (not a pastor) through her denomination. Miralee also speaks at women’s groups, libraries, historical societies, and churches about her writing journey. Deborah Summers has waited five years and prayed for Curt Warren to return to Goldendale, Washington, passing up another marriage proposal by believing in her first love. When tragedy finally brings him home, will a rift with his father drive him away too quickly? To enter to win your choice of one Love Blossoms in Oregon book, please ask Miralee a question in the comments below. Then, enter the Rafflecopter. Be sure to stop back by and read Miralee’s answers! This giveaways is open to US residents only and ends Saturday, November 22 at 11:59 CST. Can a Lost Love be Redeemed? Forget Me Not is a story that is as beautiful and unique as its namesake! 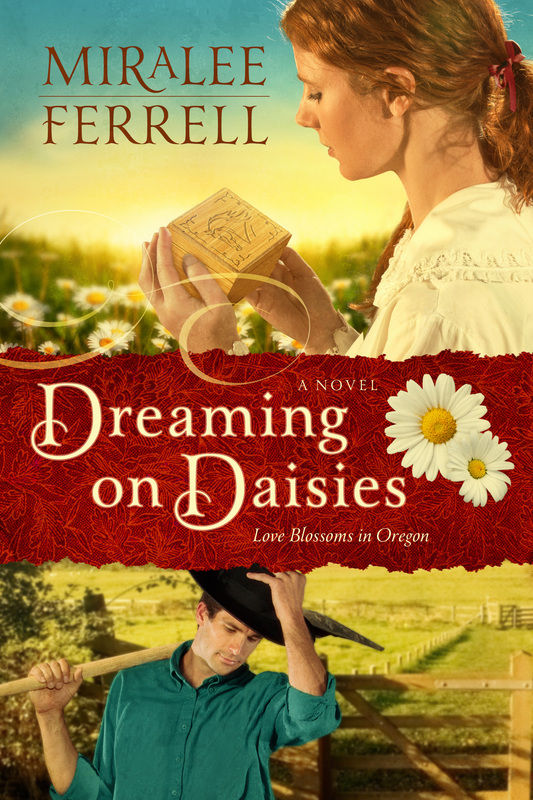 This heartfelt novella is a wonderful addition to the Love Blossoms in Oregon series. While any of the books in the series can stand alone, I encourage you to read them in order. In doing so, you will come to know the residents of Baker City, Oregon, and understand their stories. Inspiring words of wisdom and faith, woven together in this tender love story, make Forget Me Not a must read! I received a complimentary copy of this novella in exchange for an honest review, which I have given. Miralee Ferrell is a speaker, accredited counselor, and former ACFW chapter president who has published multiple contemporary and historical romance novels since starting to write in 2005. She enjoys horseback riding, gardening, and family gatherings around their eleven-acre property in Washington State’s beautiful Columbia River Gorge. Miralee has had eight books release, both in women’s contemporary fiction and historical fiction, with another 5 under contract. 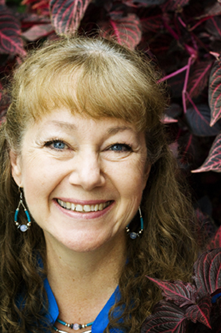 She’s an award-winning author of Western fiction, and her newest novel, Wishing on Buttercups released February 1, and is the second in a series set in Baker City, Oregon, 1880s. Celebrate the release of Miralee Ferrell’s novella, Forget Me Not, tomorrow night, March 18 at 8:00 p.m. EST. Up for grabs are lots of great prizes, including a Basic Kindle, several copies of Miralee’s books, and Amazon gift cards. Don’t miss this opportunity to chat with Miralee and enter to win great prizes! Hope to see you there! Celebrate the release of Miralee Ferrell’s novella, Forget Me Not, on Tuesday, March 18 at 8:00 p.m. EST. Up for grabs are lots of great prizes, including a Basic Kindle, several copies of Miralee’s books, and Amazon gift cards. Thank you so much for stopping by and visiting with Miralee during her blog tour! I hope you all have a chance to read the Love Blossoms in Oregon series! I am thrilled to be participating in the blog tour for Wishing on Buttercups. Each tour stop will be giving away one print copy of Wishing on Buttercups, U.S. residents only, so be sure and visit each stop to increase your chances of winning! Giveaway details are given at the bottom of the post. February 19th – The power of words..
Having read Blowing on Dandelions, I was eager to continue this series! I loved returning to Baker City, Oregon, and delving deeper into the lives of Beth Roberts and Jeffery Tucker. Both of these characters harbored secrets from their pasts and unanswered questions plagued them. This intriguing storyline, coupled with complex characters, kept me turning the pages and wanting to know more. I also enjoyed catching up with the other colorful characters who were introduced in Blowing on Dandelions. It was a pleasure to revisit the boardinghouse, which continued to bustle with the activities of its residents. Miralee Ferrell has penned a story that is full of heart and emotion; one that will draw you in and surround you with comforting hope. I highly recommend Wishing on Buttercups and eagerly await more stories in this wonderful series! You can order your copy of Wishing on Buttercups from Amazon, other online retailers, or your favorite bookstore. 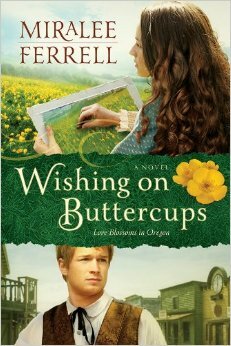 To be entered to win a print copy of Wishing on Buttercups, please ask Miralee a question in the comments below. Be sure to include your email address! Miralee would love to answer questions concerning her books, writing, publishing career, pets, or her hobbies. She will stop by periodically to answer questions, so drop in again to read her replies! Please note: Winners will be drawn on March 2. There will be one winner drawn per blog and no winner may win more than one book in this tour. Welcome back, Miralee. It is such a pleasure to visit with you again! I have heard authors say they were surprised by a character, scene, or other element in their writing. Did you encounter any surprises while you were writing Wishing on Buttercups?